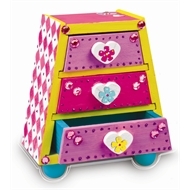 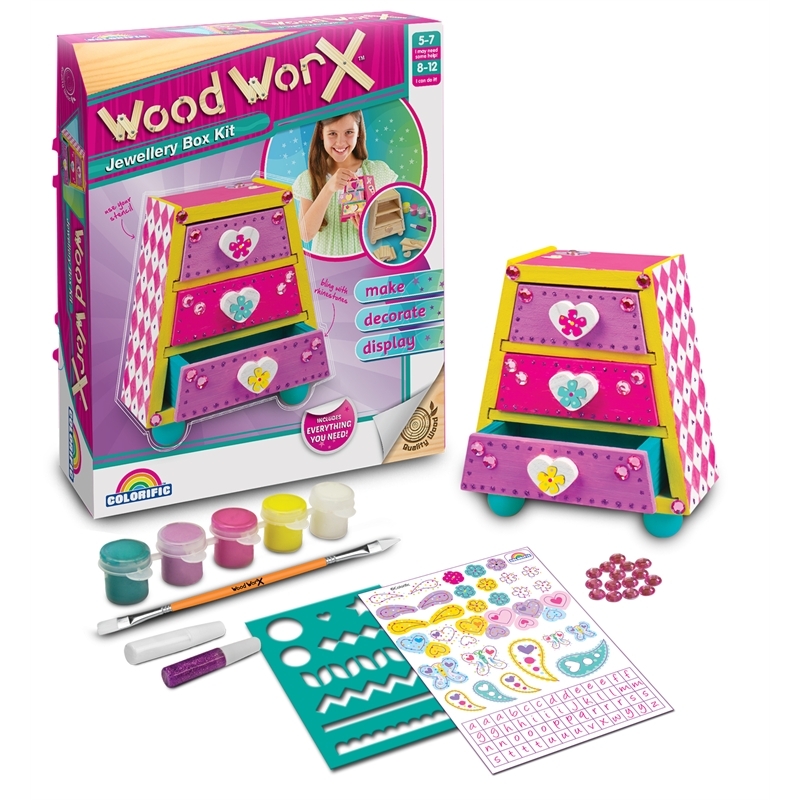 Display all your sparkly bracelets and precious best friend charms with the new Wood WorX Jewellery Box. 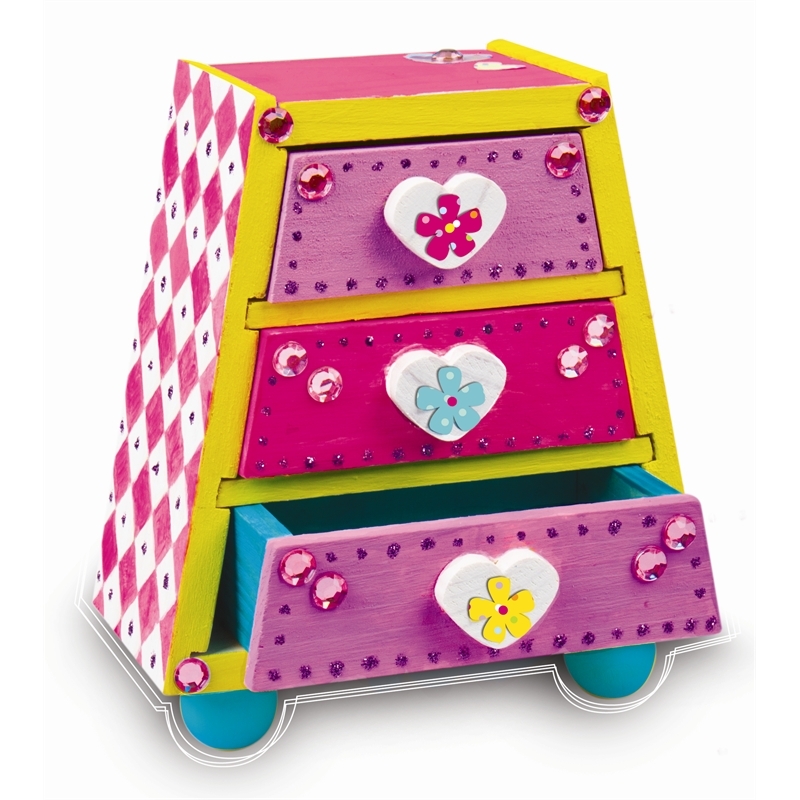 This lovely Jewellery Box has three pretty drawers of different sizes – perfect for everything from dainty rings to treasured necklaces. Each kit comes complete with all the pieces you need to create your own beautiful box – including easy to assemble wooden pieces, colourful paints and pretty decorating pieces.